A key element of community outreach is making sure communities have the resources to reach out and speak up for themselves. 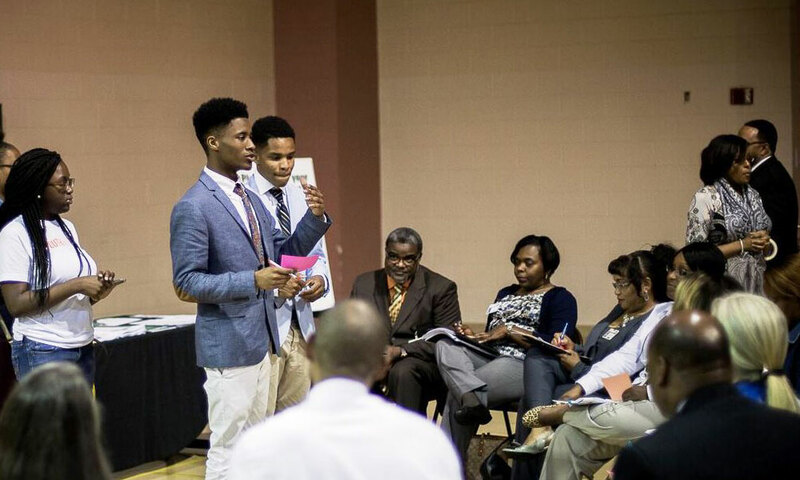 Tredegar is sponsoring ChildFund International’s Youth Ambassadors for Change program, which promotes youth engagement in Jackson, Mississippi. Young women and men from socially and economically disadvantaged backgrounds typically have few if any opportunities for civic engagement, so they are less likely to be represented in their community and have their thoughts and ideas heard. The Youth Ambassadors project is working with a core group of 125 middle and high school students to increase their awareness of their rights and responsibilities, strengthen their life skills and confidence, help them build supportive relationships with adults and foster their roles in community decision making. Specifically, Tredegar’s support is allowing ChildFund to train and equip these young ambassadors to create and present digital media — videos, photo essays, posters, etc. — to illuminate important issues and inspire positive action. These young men and women are developing the skills to engage with their community and understand its issues, as well as the confidence to speak out and create change for the better.